A blend of Turf-type Tall Fescues with a fine texture, rich dark green color and a dense, uniform turf with bluegrass-like qualities. Emerald III is tough and durable and bounces back from traffic and heavy use. An excellent choice for playgrounds, parks, athletic fields, golf course roughs, business parks and home lawns. It will perform well in the shade and has a wide range of adaptability and pH tolerances. Varieties of these species may change depending on availability. For the current varieties, please call. A blend of Turf-type Tall Fescues with a fine texture, rich dark green color and a dense, uniform turf with bluegrass-like qualities. Emerald III is tough and durable and bounces back from traffic and heavy use. 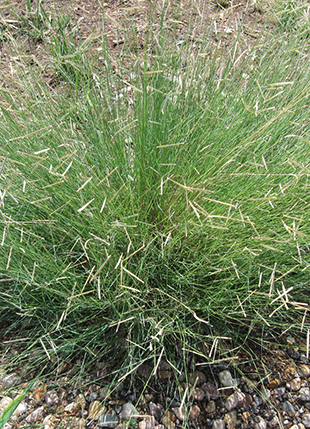 It is cold tolerant and once established can thrive in hot weather and drought with limited watering. An excellent choice for playgrounds, parks, athletic fields, golf course roughs, business parks and home lawns. It will perform well in the shade and has a wide range of adaptability and pH tolerances. This mix has a multi-year shelf life when stored in a Cool and Dry environment. Additional seed purchased this year can be used for years to come when stored properly. SEEDING RATE: For new lawns, use 8-12 pounds per 1,000 square feet. Rake into the top 1/4 inch of soil, water daily or as needed to keep the soil surface moist until the seedlings reach 2 inches tall. Preparation: Ensure adequate drainage of your site. Cultivate 4-6 inches with topsoil. 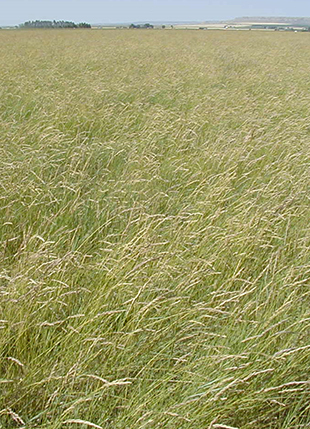 Incorporation of a starter fertilizer will help provide proper nutrients for early growth. Keep seedbed firm, not fluffy. Seeding: Using a drop spreader or a broadcast spreader, spread half the seed lengthwise over your site, then the other half crosswise over your site. A recommended seeding rate is listed on the seed tag. Moisture: To help promote good seed germination, keep the newly seeded area moist at all times. Maintenance: Mow to encourage grasses to spread. Do not mow less than 3 inches in height. Overseed bare spots to minimize weed growth. Spring or Fall are excellent times for overseeding.